"Perspectiva y verdad," 1916, Obras II, p. 17. To concentrate his forces, a writer needs a public as a liqueur needs the goblet into which it is poured. Hence, in The Spectator I appeal ... to readers who are interested in things apart from their consequences, whatever those may be, the moral included; I appeal to pensive readers who are pleased to trace the outline of a subject through all its delicate, complicated structure; to readers who are not hurried, who have noted that any just opinion requires a copious expression; to readers who on reading rethink for themselves the themes they have read; to readers who do not need to be convinced, but who nevertheless find that they are ready to renew themselves by continually passing from habitual creeds to unaccustomed convictions; to readers who, like the author, have kept in reserve a bit of the anti-political spirit; in sum, to readers who are unwilling to attend to a mere sermon, to become mindlessly moved at a rally, or to judge persons and things according to cafe gossip. See "Reforma del carácter, no reforma de costumbres," El Imparcial, October 5, 1907, Obras X, pp. 17–21. Spanish regeneration was a matter of political education, not political policy. As things stood, reforms in the state would be ephemeral unless they were based on effective reforms of Spanish character and skills. Without the latter reforms, the human capacities to make new institutions work would not be available and the new procedures would quickly give way to old habits. Because of a conviction that regeneration had to be based on a reform of character, not of customs, as he had put it in an early essay, Ortega had a special conception of action. Scribere est agere. Letter to Navarro Ledesma, Leipzig, August 8, 1905, in "Cartas inéditas a Navarro Ledesma," Cuadernos, November 1961, pp. 15–6. For Ortega, significant action elicited change in the character of men; for him, speaking and writing were more significant forms of doing things than were buying and selling, designing and producing, legislating and judging. Thus, when Ortega learned in 1905 that his friend Navarro Ledesma planned to enter the Cortes, he expressed great disappointment. If one had to enter the established political system, Ortega granted, there were two positions that deserved to be vigorously upheld, "that of the promoter of instruction and education and that of the moralizer in international politics." But political office was not, Ortega thought, the best way for a man with Navarro Ledesma's literary gifts to promote these goals. "I think you are going to Congress to pass time and to not speak out, which seems to me very bad." In Ortega's judgment, in comparison to the opportunity to speak out vigorously and effectively on the fundamental issues of character, the opportunity to legislate with respect to secondary matters was merely a means of passing time. The way to promote Spanish regeneration was through education. There have been several studies of Ortega as a writer. A rather technical but useful work is Lengua y estilo de Ortega y Gasset by Ricardo Senabre Sempere, although Senabre goes too far towards considering Ortega's style independent from his thought. Sister Mary Terese Avila Duffy does not do this in her interesting dissertation, "José Ortega y Gasset: The Creation of a Literary Genre for Philosophy"; but Ortega's style was more than a philosophical genre. Julián Marías has a thoughtful section on Ortega as a writer in Ortega—I: Circunstancia y vocación, pp. 259–353. In Origen y epílogo de la filosofía, 1943, 1960, Obras X, pp. 400–2, Ortega briefly discussed the importance of style for comprehending philosophy, and it is a subject that merits much further study. It is surprising, in view of all the attention that has been paid in recent years to language in philosophy, that the techniques of the literary critic have not been more fruitfully applied to the works of past philosophers. A Grammar of Motives and A Rhetoric of Motives by Kenneth Burke indicate the possibilities that might arise for systematic philosophy and Preface to Plato by Eric A. Havelock the possibilities for historical interpretation. An educator of the public who aimed to Europeanize Spain had to contend with the perennial difficulties of pedagogical action; in particular, with the difficulty the liberal educator encounters in his search for ways to occasion in others a willingness to master the more difficult potentialities of their inner character. Ortega's goal was to bring Spain more fully into the flow of the European tradition. The way to accomplish this integration, as he saw it, was not to emulate externally the superficial features of European life, but to communicate to diverse individuals in all walks of Spanish life the scientific standards and cultural competencies of the European heritage. By mastering European culture, Spaniards could use it to bring their concrete Spanish circumstances to fruition. It is no easy matter to elicit a true mastery of principles in the inner character of other men. Yet, that is what Ortega's conception of Europeanization entailed. This purpose, and his awareness of the difficulties that accompany it, are well reflected in Ortega's prose style, the technique that informed his effort to act by writing.An educator of the public who aimed to Europeanize Spain had to contend with the perennial difficulties of pedagogical action; in particular, with the difficulty the liberal educator encounters in his search for ways to occasion in others a willingness to master the more difficult potentialities of their inner character. Ortega's goal was to bring Spain more fully into the flow of the European tradition. The way to accomplish this integration, as he saw it, was not to emulate externally the superficial features of European life, but to communicate to diverse individuals in all walks of Spanish life the scientific standards and cultural competencies of the European heritage. By mastering European culture, Spaniards could use it to bring their concrete Spanish circumstances to fruition. It is no easy matter to elicit a true mastery of principles in the inner character of other men. Yet, that is what Ortega's conception of Europeanization entailed. This purpose, and his awareness of the difficulties that accompany it, are well reflected in Ortega's prose style, the technique that informed his effort to act by writing. "José Sánchez Villaseñor, S.J., Ortega y Gasset, Existentialist, Joseph Small, S.J., trans., pp. 136,138. An effort has waxed and waned several times to grant Ortega's genius as a writer and to deny his capacity as a philosopher. See besides Ibid., books such as V. Chumillas, ¿Es Don José Ortega y Gasset un filósofo propriamente dicho?, and P. Ramírez, La filosofía de Ortega y Gasset. For a summary of this critique see Jeronimo Mallo, "La discusión entre católicos sobre la filosofía de Ortega," Cuadernos Americanos, 1962, No. 2, pp. 157–166. Sánchez, Ortega y Gasset, pp. 195–216. Certain Catholic critics of Ortega's style claim that it dazzles and deceptively hides his inner, philosophical evasion. They assume that a serious thinker should write in a stolid style, and that Ortega's vivid imagery and sonorous diction signify his lack of serious thoughts. Thus, José Sánchez Villaseñor claimed that "his style has betrayed Ortega," for such elegant, engaging1 evasive prose made it difficult to decide exactly what Ortega thought. Father Sánchez sensed that Ortega preached "an incendiary message" ; and when the grounds for such a message seem uncertain, it is prudent—for the sake of the afterlife and spiritual hegemony of the Church—to assume the worst about anyone who so exalted the present life. Father Sánchez doubted that a man with a definite philosophic vision would choose to express it as unsystematically as did Ortega. For many, the task before philosophy is to add another great synthesis to those of Aristotle and Aquinas. To contribute to this endeavor a thinker must publish his thought in systematic treatises. Hence they conclude that Ortega chose the occasional essay as his major vehicle of expression because he had decided to assert, against the claims of systematic reason, an irrational glorification of life. Ortega's style, his rhetoric, was the weapon that he used against reason, for with his playful parlance he so subtly insinuated his dangerous views that no systematic critic would be able to expose their damning contradictions. ; Fortunately, these critics proved able to prevent, with the aid of the rhetoric they scorned, this latest episode in the Satanic conspiracy to subvert the true philosophy by means of the persuasive arts. Augustine, Confessions, Bk. V, Ch. 6, R. S. Pine-Coffin, trans. A concise statement of the contemporary relevance of this confrontation is in Martin S. Dworkin's "Fiction and Teaching," Journal of Aesthetic Education, Vol. I. No.2, Autumn, 1966, pp. 71–4. Such appreciations of Ortega's prose do not stand up to critical examination. Not content to suggest that Ortega's use of the occasional essay to express serious thought was a mistake, these critics conclude that it was a sign of bad faith. Rather than look for the rationale of Ortega's style, they absolve themselves of that task by claiming that his prose was patent proof of his disrespect for reason. With a writer who disdains reason the serious critic rightly seeks, not to explain, but to expose; hence their polemic: "Ortega's is a frightening responsibility before history for having exchanged philosophy's noble mission for acrobatic sport." The irony of the argument that unsystematic, occasional, powerful expression betrays irrationalism is that it could so easily be turned against the namesake of Father Sánchez's society. But to avoid such wrangling let us not lose sight of the great lesson that arose from the Greek confrontation of reason and rhetoric: the effectiveness of style tells us nothing for or against the cogency of thought. Augustine had learned this lesson well: "in your wonderful, secret way, my God, you had already taught me that a statement is not necessarily true because it is wrapped in fine language or false because it is awkwardly expressed .... You had already taught me this lesson and the converse truth, that an assertion is not necessarily true because it is badly expressed or false because it is finely spoken." To decide on the cogency of a man's thought we examine the reasons he gives for it, whereas to judge the effectiveness of a man's style we ascertain whether the effects produced by his presentation are consonant with his intentions. Ortega's posthumous works, generally not devoted to the task of Europeanization, were more systematic than his earlier writings. But only La idea de principia en Leibniz y la evolución de la teoría deductiva, 1947, 1958, Obras VIII, pp. 59–356, approaches being a systematic work of philosophy, and even it has many features that suggest a series of occasional essays. Ortega's discussion of the character of books and of reading in the opening part of his "Comentario al Banquete de Platón," 1946, 1962, Obras VIII, pp. 751–767, are very important for studying why Ortega chose to present his philosophy in the form that he did. Prólogo para alemanes, 1933,1958, Obras VIII, p. 57. If Ortega's intention was simply to expound his philosophic system, then his style left much to be desired, for in no single work did he give an explicit, complete statement of his essential doctrine. But on one occasion he did state that it would have been too easy to become a Gelehrte, a savant who occupied his life writing exhaustive philosophic treatises; after all, he studied under Hermann Cohen, was a friend of Nicolai Hartmann, and won an important chair of metaphysics at the age of twenty-seven. Only choice, he said, prevented him from comporting himself according to the stereotype of a learned metaphysician. Ortega's literary intention went beyond expounding a system of ideas; he aimed at cultivating the ability of his readers to form coherent abstractions and to use those abstractions as means for improving the actual life they led. These intentions gave rise to the rationale of Ortega's style. For the range of Russell's interests see Robert E. Egner and Lester E. Denonn, eds., The Basic Writings of Bertrand Russell. 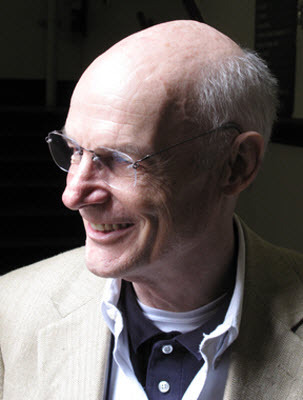 In many of Russell's excursions into topics outside his central epistemological interests one can sense that his analysis of the topic has benefited from the continual sharpening of his intelligence in his analyses of philosophical problems; but one often finds no direct carry-over from his technical to his general concerns. Thus Power: A New Social Analysis and Education and the Good Life might have been written by any lucid thinker, not necessarily by a man of Russell's particular philosophic convictions. A complicated problem arises when there is no integral relationship between different aspects of a man's work, for if he achieves greatness in one matter, his reputation will carry over and affect the way all his work is received, even though the ideas responsible for his reputation are irrelevant to his other concerns. See Ernst Cassirer, The Myth of the State. The words by Ortega are from La rebelión de las masas, 1930, Obras IV, p. 278. Two characteristics mark Ortega's prose: a notable variety of subject matter and an extraordinary constancy of form. Ortega wrote on quite as many subjects as Bertrand Russell, to choose a philosopher well known for his universal curiosity; but unlike Russell, whose treatment of different subjects often seemed to owe little to his basic philosophic convictions, Ortega made his reflections on politics, art, epistemology, psychology, history, and pedagogy all illuminate the essential premises of his thought. The unity in Ortega's thought was not achieved, however, by going in the direction of more systematic writers, for instance, Ernst Cassirer. Whereas in The Myth of the State Cassirer began with an explicit statement of his philosophy of symbolic forms and throughout applied that conception methodically to the illumination of a persistent political problem, in The Revolt of the Masses Ortega did not explicitly mention his doctrine of human existence until the closing pages and then it was to observe that the doctrine had been 11entwined, insinuated, and whispered" in the text. By proceeding in this way, readers who disagreed with Ortega's basic convictions might still profit from his analysis of European history, but readers who were not convinced by Cassirer's conception of myth could draw little from his application of it to the political past. Thus, Ortega was particularly capable of treating diverse topics in such a way that his essays could simultaneously stand independent from his other works and contribute to the elucidation of his system for those who wished to follow it. If Ortega's handling of subject matter was unique, so was his choice of form. Twentieth-century philosophic stylists like Unamuno, Santayana, and Sartre have used a variety of prose, dramatic, and poetic forms to to present their thought to the public. Ortega wrote only essays. Furthermore, all his essays, regardless of length or subject, were constructed in the same way: he would write in compact sections, each of which could stand alone as a short essay; and to form larger works he would string related sections together. His art was that of the aphorist, in which he took great care to fit various short, concise statements of principles together into a larger, unified work. El Espectador–1, 1916, Obras II, pp. 15–125. An instance of this variety and constancy may be found in the first volume of The Spectator. Included were essays on epistemology; the philosophy of history; love; World War One; joy; "esthetics on a trolley car"; the Castilian countryside; paintings by Titian, Poussin, and Velazquez; the nature of consciousness; and the writings of Pío Baroja. Throughout, certain convictions about thought, life, and the future of Spain insistently recurred. Yet despite the variety of topics, Ortega composed everything in short sections, in each of which he raised a single thought, explored its significance, and pointed towards the idea that would follow in the next. The longest essay, "'Ideas on Pío Baroja," comprised fifteen of these sections, which each averaged two pages in length. Throughout his life Ortega continued to write on a variety of topics; and he was always faithful to his basic prose form, composing passages from fifty to five thousand words in length and including from one to fifty or more of these in an essay or book. Diversity of subject and invariability of form: these are the striking features of Ortega's prose; the rationale of Ortega's style should clarify why he always relied on one form of the essay to write about a variety of topics. The critic's task is to discover whether these features of Ortega's style could help readers form coherent abstractions and provoke them to use these ideas in living their lives. A young man in search of an ideal Spain could not be content with the established channels of action. Ortega's prospective patriotism recognized his country's traditional weaknesses, and the goal of the nueva política, or civic pedagogy, was to create the conditions for a Spanish renaissance, to establish a Kinderland that was free of the vices that vitiated the fatherland. Intellectuals had a duty to use every means they could to strengthen Spanish culture. Thus Ortega's prose exemplifies the stylist as educator. See especially, "Notas de andar y ver," 1915, Obras II, pp. 249–265; "Temas de viaje," 1922, Obras II, pp. 367–383; and "Notas del vago estío," 1925, Obras II, pp. 413–450. Mirabeau o el político, 1927, Obras III, esp. pp. 612–8 where the facts of Mirabeau's life were given. Cf. "Juan Vives y su mundo," 1940, 1961, Obras IX, pp. 507–9 where Ortega prefaced his lecture with a blurb of information on Vives. Certain readers may object, however, that didacticism is an enemy of literary grace, and yet Ortega's writing is a model of grace. To be sure, in an ordinary sense didacticism leads to a disquisitional rhetoric. But Ortega's writing was not didactic in an ordinary sense. He devoted little effort to disseminating information or cultivating convention through his prose. He was strangely incapable of exposition. Even his essays on travel were displays of dialectical, not descriptive, skills, and when, in an essay such as Mirabeau or the Politician, facts were necessary, he presented them in a blurb of information that became memorable only in the ensuing analysis of principles. Ortega's writing was informed by pedagogical intentions, but not by the pedagogy that is generally espoused by people who believe they possess superior knowledge and who seek to proclaim it to lesser men. Ortega's commitment to the liberal tradition was present in his prose, and hence he always wrote for an audience of peers. There is a good discussion of dialogue in Paul Friedländer, Plato, An Introduction, Hans Meyerhoff, trans., pp. 154–170. The discussion that follows has been influenced by this work, by my own reflections on the style of Plato, Nietzsche, and Ortega, and by discussions with Martin S. Dworkin and others. When peers converse as peers, it is a dialogue. This fact has troubled many writers who think of their readers as peers but have difficulty adapting static pages of print to the open exchange of dialogue. The Plato of the Seventh Letter showed an acute awareness of this problem, and the many forms of dialogue promoted by Plato's work provide a key to the art of Ortega's prose. With respect to the reader, Plato's early, so-called Socratic dialogues give a fixed presentation of definite discourse, one that can be seemingly experienced and enjoyed without the reader's critical engagement; these works may appear aporetic only by virtue of their aporetic endings. In contrast, the middle and late dialogues do not so perfectly dramatize possible conversations. But if each statement in these works, for instance, in the Republic, is taken literally, the work yields absurdities. Yet the work functions as a powerful heuristic if the reader continually and actively engages himself in the critical interpretation of the possible meanings of Plato's text. Thus the work proves to be internally aporetic; and as soon as Plato's readers engage themselves in reasoning about the just man who may reside in their own hearts, they find that Plato left many clues with which they can thread their way through his artful contradictions. Let us take, then, as the sign that a work is philosophic dialogue the fact that the writer can elicit, by one means or another, the reader's critical involvement in the questions at hand. Ortega, by virtue of his ability to engage his readers in reasoning about particular problems, was a master of philosophic dialogue. He did not state his thoughts so that they could be easily mouthed by others. He rarely gave a systematic, abstract statement of a principle; instead he would treat principles in relation to particular situations, leaving it to the reader to make, not repeat, the abstraction. Further, he usually presented incomplete arguments, in which there would be gaps that the reader would have to fill for himself. In writing, Ortega continually complemented the particular with the general, the general with the particular; and he left it to the reader to decide whether to read a work, or even a paragraph, as a theoretical reflection or as a polemical designation. Even the very brilliance of his wording made readers continually ask themselves: is this serious or is it simply a phrase? All these features were among the devices that Ortega used to engage the reader's intellectual powers by not making his primary meaning obvious, by not giving it a final, full, fixed formulation, by helping readers to extract from the text their own formulations of its meaning. Sánchez, Ortega y Gasset, p. 137. Even the critics of Ortega's style testify unwittingly to his ability to refrain from pronouncing the final word and to force his readers to seek it out for themselves. Thus, Father Sánchez observed that it was not "easy to discover what Ortega really holds. He submits his ideas to a scrupulous analysis before putting them on paper. Whoever tries to penetrate his thought has to launch forth on an arduous ideological hunt through the dense jungle of his extensive work .... Behind the scenery of his metaphors he artfully juggles his ideas. He calls this his delight, his irony—to wear that masquerade which permits us only by close scrutiny to glimpse his real characteristics." These words, which were meant to damn, were fine praise to a man who wrote in order to create a philosophic dialogue with his readers, for they testify to the skill with which Ortega made his readers think. Thus Ortega hid his thought from casual curiosities and manifested it to those who were willing to search for it "by close scrutiny." Prólogo para alemanes, 1933,1958, Obras VIII, p. 18. Ortega's style was dialogically effective. This power, however, might have been the result of his intentional art or of accident. His style might be explained as the fortuitous combination of his gift for phrasing striking metaphors with his incapacity for expounding ideas systematically. However much these qualities explain the origin of his style, Ortega was aware that his writing functioned well as dialogue. He cultivated this quality of his prose. "The involution of the book towards the dialogue: this has been my purpose." For Buber's conception of dialogue see I and Thou, 2nd. ed., R. G. Smith, trans., passim; and Pointing the Way, Maurice 5. Friedman, trans., esp. pp. 63–105, 237–9. Also, unlike Ortega, Buber wrote literary dialogues; see Daniel: Dialogues on Realization, Maurice Friedman, trans. The following from Ortega's "La pedagogía social como programa política," 1910, Obras t p. 520, raises the question whether the I–Thou philosophy was not very much "in the air" in early twentieth-century thought in Germany before Buber's fame. "In this way Jesus softly admonishes us: do not content yourself with making your I high, wide, and deep; find the fourth dimension of your I, which is your neighbor, the Thou, the community." Most of Ortega's explicit statements about dialogue will be quoted below, but these alone do not give a sufficient idea of the importance of dialogue for him. To grasp the full importance of dialogue it is necessary to keep in mind Ortega's perspectivist epistemology as it is explained in El tema de nuestra tiempo, 1923, Obras III, pp. 145–242; his conception of the history of thought as a creative, dialectical development as he explains in "Prólogo a Historia de la filosofía de Emile Bréhier," 1942, Obras VI, pp. 377–412, and Origen y epílogo de la filosofía, 1943, 1960, Obras IX, pp. 349–434; and his sense for the problems of writing and reading as they are explained in "Prólogo a una edición de sus Obras," 1932, Obras VI, pp. 342–354; "Miseria y esplendor de la traducción," 1937, Obras V, pp. 433–452; and "Comentario al Banquete de Platón," 1946, 1961, Obras IX, pp. 751–767. Unlike Martin Buber, who made dialogue one of his principle subjects of reflection, Ortega rarely wrote about dialogue per se. For him, dialogue was reflection, it was thought; although he wrote about it infrequently, he took part in it continually. According to Ortega, dialogue was a problem for a serious writer because in its essence thought was dialogue; and to communicate thought one had to produce a dialogue. In this production the writer needed neither to set forth dramatic conversations nor to ramble on about dialogue; he needed to write in such a way as to provoke the reader into dialogue, or thought, concern over real uncertainties. This task was particularly difficult because the dialogue that Ortega tried to stimulate was not so much a direct one between himself and his reader as it was an indirect one between his reader and the reader's circumstances, of which Ortega's books were only a minor part. The first phrase is from Las Atlántidas, 1924, Obras III, p. 291. The second is from "Prólogo a Historia de la filosofía de Emile Bréhier," 1942, Obras VI, p. 391. Cf. "El deber de la nueva generación argentina," 1924, Obras III, p. 255: "thought is ... essentially dialogue." How was thought dialogue? It was an open exchange concerning matters that the participants recognized to be significant difficulties. In its fullest sense this definition suggested that the most incessant, productive dialogue was the continual exchange between a man's self and his circumstances concerning the vital problems of his life. Each man lived in the midst of his personal, particular surroundings, and each man's thought comprised an infinitely complicated interplay between himself and these circumstances. This interplay involved the problems that a man perceived as he tried to live by means of limited capacities in the midst of inhospitable surroundings. This exchange, which was always open and always significant, was the primary dialogue of life: "life is essentially a dialogue with its circumstances"; "to think is to converse [dialogar] with one's circumstances." The basic dialogue between a man and his world was that man's unique concern; other persons might help shape the objective features of a person's world, but only each man alone could converse with his surroundings. "El deber de la nueva generación argentina," 1924, Obras III, p. 256. This primary dialogue of life, however, which constituted each man's unique experience, was not a solipsism in which the only reality was the one that a man intimately experienced. Each man informed his own conversation with his circumstances by taking part with other men in intellectual dialogue. To do so, men identified common problems; they created mutually comprehensible terms with which they could discuss these problems and their possible solutions; they embarked on the disciplined, dialectical examination of every proposed solution to their difficulties. With these common means—observation, conversation, and criticism—each man structured and controlled the primary dialogue between himself and his circumstances. Thus, beginning with the unique hopes and difficulties of each, men joined and created a common, rational world, in which they could theoretically solve their difficulties and imaginatively fulfill their hopes. Hence, "the dialectic is a collaboration" by means of which men joined together to enhance their personal exchange with their unique surroundings by confessing common concerns, concerting their goals, and perfecting their powers. To begin, then, dialogically effective writing required the collaboration of the reader. An auditor could not collaborate in a monologue, and therefore it provoked no dialectical progression of thought. To be effective, a writer had to project from his personal life a set of problems, goals, and powers that the reader could discover implicated in his own intimate existence. For collaboration to take place, the good writer would neither speak nor conceal, but indicate, and the good reader would neither believe nor deny, but consider. Whoever gave dialogue its due would note that the mark of an effective writer was not that he was admired and generally understood, nor was it that he was notorious; it was that those who read him carefully would genuinely apply in the conduct of their lives the powers that he communicated. "Prólogo para franceses," 1937, Obras IV, pp. 114–5. Universal truths were the bane of dialogue, for, as Ortega often observed, they were inherently Utopian and difficult to adapt to the dialogue of life. Principles were important to Ortega, but discourse that communicated only the letter of principles was inadequate, for men did not live in the realm of pure Platonic forms. Adequate discourse had to carry one up out of the cave into the light of abstract thought and then back down to the shadowy particulars. Both the writer and the reader could avoid empty universals—principles divorced from particulars—by dealing only with words that they could find pertinent to an actual occasion. "All words are occasional," Ortega observed. "Language is in essence dialogue, and all other forms of speaking enervate its efficacy. For this reason, I believe that a book can be good only to the degree that it brings to us a latent dialogue in which we sense that the author could concretely imagine his reader. And the reader should feel as if, from between the lines, an ectoplasmic hand came out to touch his person, to caress him, or—very politely—to give him a cuffing." Meditaciones del Quijote, 1914, Obras I, p. 366. In Meditations on Quixote, Ortega said of a literary work that its form is the organ and that its content is the function that teleologically creates the form. We have examined the form that Ortega tried to give his prose, "the latent dialogue," a good name for those dialogues that lack dramatized conversation but that nevertheless engage the reader in the active interpretation of the text. But the way that Ortega implemented this form followed from the content—the telos or function—that provided him with the occasion for creating the form. If his writing enlisted the collaboration of the reader, it was important that there be something particular that the reader was to collaborate in. Serious writers simultaneously perform particular and general functions, but the enduring worth of their work rarely results from their skill with respect to particulars alone; they must further put their craftsmanship in the service of some general transcendent concern. Thus, both the man of letters and the hack writer work with similar immediate aims, ranging from the salacious to the salvational; but in doing so, the literary genius is acutely aware of serving a universal function, whereas the scribbler is oblivious of this aspect of his office. Regardless of its immediate tone and subject, Ortega's writing performed the general function of apprenticing his readers to intellect. Thus, like the Platonic dialogues, Ortega's latent dialogues had at least two levels of significance: on one level was the ostensible subject of discussion and on another was the attempt to perfect the discussant's rigorous use of intellect. This second preoccupation was so important to Ortega that one can appropriately identify it as the function, the telos, the content of his writing. Hence, throughout his literary work, he tried to cultivate the intellect of his readers, even though in the course of his career he made a significant change in the audience he sought. Up to the early 1930's he was primarily concerned with the Spaniard's intellectual powers, whereas after that time he addressed himself to the abilities of the European. Be that as it may, the two audiences were intimately linked; the European grew out of the Spanish as for writers in other countries it grew out of the French, British, Italian, or German. Ortega discovered his capacity to address Europe in the course of writing for Spaniards, and perhaps the secret of his appeal to both was his power to speak, by means of particulars, to an enduring concern of man, that is, to the question of man's intellect and its function in the conduct of his life. See the acknowledgment in El Espectador–1 and "Verdad y perspectiva," 1916, Obras II, pp. 11, 15–21. This was true not only of the way Ortega's writing was meant to be encountered by his audience, but also of the way it was composed. While I was researching at the offices of Revista de Occidente, Ortega's method of composition was explained to me by his daughter. Ortega had special note cards on which he would record a single thought whenever it occurred. He would study these cards, and in the light of his basic convictions, he would arrange various thoughts into an argument on a subject, carefully elaborating this skeleton of thoughts into a developed work, each thought becoming a short essay. Many scholars consider it a mark against a man's intellect that he should cultivate conversation. This prejudice underlies a criticism of Ortega. Thus, Raymond Carr writes: "This emphasis on conversational exchange and journalism was one of the main weaknesses of Spanish intellectual life: conversation was the essential foundation of Ortega y Gasset's work." (Spain, p. 60 n.) This suggestion depends, like Father Sánchez's argument, on an improper inference from style to substance. The two founts of Western intellectual life, Greek philosophy and Judea-Christian religion, generated from conversational exchange. No form of intellectual exchange is, in itself, good or bad, strong or weak; such qualities depend on how well the form in question serves its intellectual functions. There is more to this matter, moreover, than a mere qualification to a criticism of Ortega. We are too much in the habit of identifying the quality and even the content of thinking with the style of thinking, and in doing so, we greatly confuse the problem of absorbing new aids to thinking. Except for a few studies like The Art of Memory by Frances Yates, Immagine e parola nella formazione dell'uomo by M. T. Gentile, and Preface to Plato by Eric A. Havelock, educational historians have failed to entertain the possibility that modes of thinking in past times differed from those now dominant. As a result, it has been possible for contemporary critics such as Marshall McLuhan in Understanding Media to spread much confusion by not discriminating between changes in modes of thinking and continuity in the basic problems of judgment. Power, as Ortega conceived it, depended less on position, on office, on one's control of "force," than it did on one's ability to influence the intricate, intimate existence that persons experienced, and to do so without diminishing the intricacy or intimacy of that existence. To have power with respect to the state of intellect, one had to occasion significant alterations in the way men actually used their intelligence and culture in the course of their lives. Hence, Ortega resorted to the daily paper and the personal essay, for by these means he could speak to men about concrete matters as they pursued their personal concerns, having coffee in the morning break or meditating in the quiet of their study. All of Ortega's writing was circumstantial; it was related in one or another way to his immediate world. Many essays concerned things that Ortega met with in the course of taking part in Spanish public life; and the rest he could write u as a spectator" because he was so deeply involved in the press of events that he found himself forced, from time to time, to suspend participation and to consider disinterestedly the quality of the things about him. Thus, even his impetus to reflection gained its strength from his involvement in his concrete surroundings. Consequently, he never assumed that his audience was some disembodied, universal philosopher. In the world of men there was no unmoved mover whose existence comprised only pure contemplation. Noting this fact, Ortega wrote not only polemic, but even disinterested essays, so that, in the cacophony of competing claims on an active man's attention, these reflections might command quiet consideration. From this circumstantiality the power of Ortega's prose with respect to intellect derived. For instance, take Meditations on Quixote. In this small book, and in The Spectator, which was its continuation, Ortega made the intellectual function of his prose explicit. "The reader will discover, ... even in the remotest musings on these pages, the throbs of a patriotic preoccupation. He who wrote them, and those to whom they are addressed, began spiritually with the negation of a senile Spain. But isolated negation is an impiety. When the pious and honorable man denies something, he contracts the obligation to erect a new affirmation .... Having negated one Spain, we find ourselves on the honorable course of discovering another. Only death will free us from this task. Hence, should one penetrate into the most intimate and personal of our meditations, he will catch us conducting, with the most humble powers of our soul, experiments towards a new Spain." The purpose of these experiments, Ortega said, was to infect his readers with a desire to understand their surroundings by "sincerely presenting to them the spectacle of a man agitated by a vivid eagerness to comprehend.n If this desire became an operative element of the Spaniard's view of life, the old Spain would be transmuted into the new. This and the preceding paragraph summarize Meditaciones del Quijote, "Lector . .. ," 1914, Obras I, pp. 311–328. The quotations are from pp. 328, 313, and 321 respectively; the definition of comprehension is from p. 311. For centuries, Ortega suggested, Spaniards had been animated by rancor and hate; they closed themselves and could neither love nor understand. Comprehension was an act of love in which one carried the matter in question to its fullest possible significance by the shortest available route. The most important aspect of intellect was not erudition, but the power to use man's cultural creations to enhance one's comprehension of the concrete, personal world in which one lived. "All that is general, all that has been learned, all that has been achieved in the culture is only the tactical maneuver that we must make in order to accommodate ourselves to the immediate." Spaniards had been unable to cope with their circumstances because they had not learned to love their world, that is, to employ their culture to perfect their surroundings. In a meditation on his method, Ortega amplified this thesis. He began by musing idyllically on the mysterious profundity of a forest, for he happened to be sitting in one near the Escorial. What is a forest? he asked; and with this question he began to contemplate the nature of thought. The forest became the occasion of his thought, the forest became his teacher. "This beneficent forest, which anoints my body with health, has furnished my spirit with a great lesson. It is a majestic forest; old, as teachers should be, serene and complex. Moreover, it practices the pedagogy of allusion, the sole delicate and profound pedagogy." An appreciation of this pedagogy, which is the most difficult one to practice, pervaded Ortega's writing. One can comprehend this pedagogy only by practicing it, and consequently he wisely refrained from particularizing the methods by which it should be pursued: "whoever wishes to teach us a truth should not tell it to us; he should simply allude to it with a concise gesture, a gesture that suggests in the air an ideal trajectory along which we can glide, arriving by ourselves at the foot of a new truth." This and the preceding paragraph summarize Ibid., pp. 329–337. The quotations are both from p. 335. If he contemplated the forest, which—for the trees—he could never directly experience, he discovered the lesson the forest taught. Beneath the surface of things, beneath their sensory appearance, there was the idea of them, which would be revealed when he fused his superficial perceptions with an act of pure intellection. To experience a forest, he had to combine the mental concept, the forest, with his sensations of being surrounded with dense trees, of walking on a bed of leaves and moss, and of hearing the stillness gently interrupted by the songs of birds and the whispers of the breeze? This and the following two paragraphs summarize Ibid., pp. 337–364. For more technical discussions of Ortega's conception of the concept, see "Conciencia, objecto y las tres distancias de éste," 1915, Obras II, pp. 61–6; "Sobre el concepto de sensación," 1913, Obras I, pp. 245–261; El tema de nuestro tiempo, 1923, Obras III, esp. pp. 163–8. Ortega's major work on the subject is La idea de principia en Leibniz, 1947, 1958, Obras VIII, esp. pp. 66–70, 99–114, and 256–323. Concepts, the basic stuff of intellect, were the general, common ideas and definitions by means of which men converted immediate sensory data into personal conceptions that were stable and communicable to others. Spaniards habitually ignored concepts and exaggerated the importance of immediate, unrefined impressions. Consequently, Spanish civilization was "impressionistic" and lacked continuity, direction, and intelligent leadership. With only a bit of irony, he suggested that to correct this imbalance Spaniards should make it a national goal to master the concept. Instead, many mistakenly justified Spanish impressionism by opposing reason to life. Reason was not a substitute for life; concepts were the work of life, and like digestion or reproduction, reason was a vital function of the human being. As a vital function, reason was a great aid, not a threat, to life. Rightly understood, the concept would be the ally of the Spaniard's traditional impressionism. Seneca, Epistulae Morales, LXXVIII, 29, Richard M. Gummere, trans. Meditaciones del Quijote, 1914, Obras I, p. 354. Like Seneca, Ortega might have quoted Posidonius: "A single day among the learned lasts longer than the longest life of the ignorant." A man with developed conceptual powers would have a greater capacity for the immediate experience of life than would someone with scant ideational ability. In the course of every moment a man experiences a multitude of fleeting impressions; and without some means of fixing his attention, he could not concentrate on one matter long enough to apprehend masterfully any but its most superficial significances. A man fixed his attention and investigated the ultimate significance of a thing by means of concepts. These intellectual tools were by themselves no substitute for the impressions of real experience, Ortega cautioned; concepts complemented and completed impressions by enabling a man to convert his feelings and sensations into comprehension. And a man expanded his life by achieving such understanding. "Only when something has been thought does it fall within our power. And only when the elemental objects have been subdued, are we able to progress towards the more complex." Culture was not simply a body of great literature; it was the concepts, principles, and ideas that made the literature—as well as the art, law, and science of a people—useful in the conduct of their lives. Because Spaniards had few concepts at their command, they had little culture; despite the fact that they had a rich tradition, they lacked the means for bringing this tradition to bear upon their lives. Here, then, was the writer's task: to communicate fundamental concepts and to show how they were to be used in life. "On the moral map of Europe we represent the extreme predominance of the impression. Concepts have never been our forte; and there is no doubt that we would be unfaithful to our destiny if we ceased to affirm energetically the impressionism found in our past. I do not propose a secession, but, on the contrary, an integration .... Our culture will never give us a firm footing if we do not secure and organize our sensualism by cultivating our meditativeness." To develop his readers' reflectiveness, Ortega wrote primarily about concepts. By an allusive pedagogy, he explained various concepts and showed how they were to be used. Thus, the essay we are analyzing was at once a critique of Spanish culture and an introduction to the concept of the concept. By functioning in this second way, his essay helped overcome the deficiency in Spanish character that had been identified as crucial in his cultural critique. Whatever the ostensible subject of Ortega's prose, there was as well a discourse on one or another concept and its significance for life. Owing to the narrowness of our present conception of pedagogy, important dimensions of comparison between the work of various thinkers are difficult to perceive. For instance, there are difficulties explaining how the philosophical views of Ortega and Heidegger differed; yet these difficulties would disappear if we could compare the allusive pedagogy Ortega used in explaining his position with Heidegger's pedagogy of specification. Compare how Ortega and Heidegger handled the problem of ensuring that philosophy referred to life as it was lived. Whereas Ortega chose to explicate his ideas by means of references to everyday situations, Heidegger conceptualized the everyday and insisted that the problem for ontology was to understand the Being of Dasein "in its average everydayness." (Being and Time, Macquarrie and Robinson, trans., pp. 37–8.) Both men began with the same insight into the transcendent primacy of personal existence, and from there one proceeded to convert the technical into the everyday and the other the everyday into the technical. By considering the pedagogical dimension, the way a philosopher chooses to present his views, certain significant questions open up. For instance, what part of the human consequences of a doctrine stems from the doctrine itself and what part from the pedagogy chosen by the philosopher to inform his presentation of his doctrine? This question is significant, for many choose their philosophies according to the human consequences they believe these bear, and it is not always clear whether objectionable consequences derive from the doctrine or the teaching of the doctrine. Thus, in Nihilism: A Philosophical Essay, Stanley Rosen severely criticizes Heidegger for nihilism, suggesting that Heidegger equated silence with the source of significance. One comes away, however, from Rosen's critique with an unsatisfied question: do the doctrines themselves lead to silence or the modes of presenting the doctrines chosen by particular adherents to them? Anyone who wished to make reason serve life could not be content with dwelling on a few specially favored thoughts. Ortega had to concern himself with a multitude of concepts, which would run the gamut of the situations that arise in life. Hence, even if he were naturally inclined to specialize, Ortega's purpose would have led him to speak on many matters. A writer who dwelt on a narrow range of concepts would help merely to cultivate learned ignoramuses who were reasonable in esoteric matters and bumbling foo]s in the mundane concerns of life. Besides permitting Ortega to introduce a useful range of concepts, variety in subject matter permitted him to shun abstraction and to emphasize the concrete even though he wrote about principles. Thus, he could use the pedagogy of allusion. For instance, in meditating on the concept, Ortega began, not with the metaphysics of essences, but with the forest glen in which he sat. But note, if he had not continually varied the real situations that he used in explicating his ideas, his readers would soon have found either that he was concerned primarily with the situation itself, he being gifted with a minor talent for describing forests, or that the situations, like the tables and chairs often discussed in introductory epistemology, had been converted into technical conventions that no longer served effectively to bring metaphysics down to earth. The variety of Ortega's subject matter enabled him to avoid these pitfalls; he introduced his readers to a multitude of concepts by presenting well-chosen references to daily life. Ortega relied on short, personal essays as his favorite prose form because through these he could bring latent dialogues to his readers, and with such dialogues he could practice the pedagogy of allusion. In each fragmentary essay Ortega introduced a concept, he indicated and explored certain things that would engage the reader in using the concept, he scattered clues about how the concept might be mastered, and he then broke off, leaving the reader to proceed alone along the ideal trajectory that had been suggested. There are dangers, however, in such a prose form, and in seeing why Ortega would risk these dangers, we perceive his true mettle as an educator of the public. "Prólogo a una edición de sus Obras," 1932, Obras VI, p. 347. Anyone who intends to teach by the pedagogy of allusion must risk being misunderstood and he must have faith in the ultimate competence and good will of others. Ortega took that risk and he had that faith. "There is little probability that a work like mine, which, although of minor value, is very complicated, which is full of secrets, allusions, and elisions, and which is throughout completely intertwined with my vital trajectory, will encounter the generous soul who truly desires to understand it. More abstract works, freed by their intention and style from the personal life out of which they surged, can be more easily assimilated because they require less interpretative effort." Here is the choice of Hercules that any popularizer must make. Does one have confidence in the capacity of the audience to make an interpretative effort, or does one distrust its ability? Ortega believed that a man mastered himself and his world by making an interpretative effort; and he therefore believed that a writer misused his readers when he made their interpretative effort unnecessary, for by doing so the writer encouraged readers to be lax before life and to expect life to reveal itself replete with a ready-made discipline. Ortega's writing gained its pedagogical power from his determination to respect the intelligence and intellect of his audience. By requiring a great interpretative effort from his readers, Ortega risked on the one hand that they might have difficulty precisely reproducing his personal conception of one or another concept, but he ensured on the other that they would be better able to think by means of that concept. Readers who independently pursued the thoughts that he suggested would train themselves in using concepts to order their experience. To encourage such mastery, it was best to refrain from excessive explicitness and to make the reader think through the lesson for himself. Ortega's style produced effects consonant with his intentions. As the forest had been the occasion, not the subject, of Ortega's meditation on the concept, so his meditation was to be the occasion, not the subject, of his reader's own reflection. Meditaciones del Quijote, 1914, Obras I, pp. 365–400. By means of his writing, Ortega tried to disseminate throughout Spain a more adequate repertory of essential concepts that would perfect the Spaniard's impressionistic genius. In his essays Ortega called attention to different concepts in the course of writing about a great variety of topics; and he elicited the reader's involvement with these concepts by not providing an exhaustive, abstract interpretation of his subject, and by giving instead a suggestive yet precise indication that could be completed only by the reader's own efforts. There is no better example of these techniques than the final part of Meditations on Quixote. In it Ortega meditated on the concept of the novel, for he held it necessary to master this concept in order to do justice to Don Quixote and to the great influence on Spanish character that this book had had. In this meditation Ortega introduced and allusively explicated various other concepts that contributed to an understanding of the novel; he wrote passages of five to ten paragraphs on the idea of the literary genre, the exemplary novel, epic, the bard, myth, books of chivalry, poetry and reality, realism, mime, the hero, lyricism, tragedy, comedy, tragicomedy, and the experimental novel. On each of these topics, Ortega at most was suggestive; and the reader was clearly expected to complete his own conception of these matters and to unify them into a general conception of the novel that might prove adequate for interpreting Don Quixote and its effect on the interpreter's life. Throughout Ortega's work, one will find him in this way introducing, explicating, and commending concepts through short, suggestive essays that implement the pedagogy of allusion. Ortega's prose was dialectically effective because of his ability to record allusive actualities, rather than consummate abstractions; and consequently, even through his style he wielded pedagogical power. The principle that gave his prose its power was the principle of respecting the reader's interpretative abilities. Here again is the choice that every writer must make. Some choose to make reason regulate life by imparting their conclusions directly to others without transmitting the skills by which the conclusions were drawn; others seek to make reason function in life by awakening with their prose the rational powers of their readers. Each writer must choose whether to communicate primarily the results of reason or the powers of reason. Ortega chose the latter course. He believed that when a mind comes alive and begins to vibrate with the power of reason, its duty is not to think paternally on behalf of those who are still inert. With the ineluctable force of resonance, it should vibrate in sympathy with other reasoning minds and augment with the increment of each the power of the whole, so that all are awakened and a great work may be wrought. To those who are awake there is one ordered universe common to all, whereas in sleep each man turns away to one of his own.